Have you’ve mastered all the flower-shaped beading patterns you can get on your hands or you’re looking for a new challenge? Then, take your jewelry designs to the next level by learning how to create these inspiring flower beaded jewelries! Strands of beads will seem a snore to you once you learn how to make flower beaded patterns like these. If you love creating flower beaded earrings and looking for some latest ideas and patterns, then you can try out Kathryn’s cluster earring craze! Learn how to make earrings with beads charms and a little bunch and fun variation on a typical dangle earring design. This free flower bead tutorial will show you how to create beautiful beaded blossoms with beautiful flower shape petal jewelry! If you’ve never tackled a flower beaded bead pattern before, Christine’s simple tutorial is not too tricky to take on. This is one-of-a-kind flower shape jewelry patterns at its finest. Simply use beautiful beads as its base and stitch seed beads around it, and you can create a beautiful beaded flower shape bracelet! It’s so simple than you think. 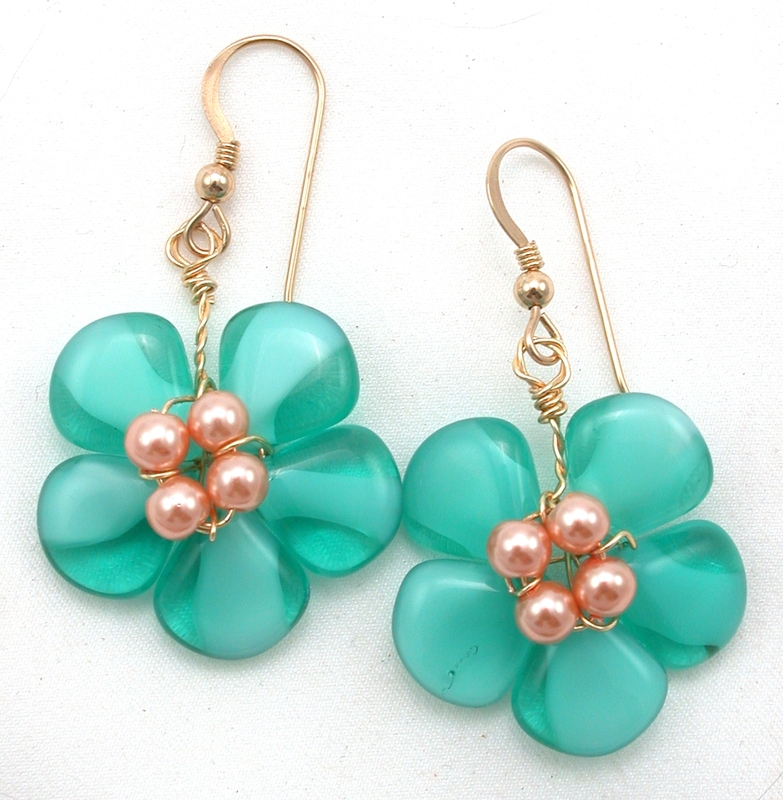 Check out this easy flower beaded shape jewelry tutorial and see what I mean. This beautiful beaded bead pattern will show you a different ways to try a technique and incorporate them into your beadwork. From more simple and straightforward flower shape patterns to breezy and individual designs, you’ll learn how to create this Beejang’s flower shape pendant, which brings your jewelry designs into life with this beautiful beaded flower tutorial! By simply varying the size of the beads, you can take your finished beaded flower jewelry into a delicate and beautiful piece, depending on your design. Incorporating beaded flower patterns into your jewelry designs adds an extra detail and new dimension for a completely dynamic effect. You can’t call yourself a true beader until you learn how to make these patterns!